What is the research base for Phonics Lessons and Word Study Lessons? Phonics Lessons and Word Study Lessons are grounded in a wide base of academic research, including all the areas examined by The National Reading Panel, and reflect its recommendations for phonemic awareness, phonics, fluency, vocabulary, and comprehension. A complete research paper, entitled "Phonics Lessons: The Research Base" is available. In addition, the lessons reflect practical, classroom-based research in how children learn, practices that have been reconfirmed by many teachers as they have field-tested Phonics Lessons and Word Study Lessons. How can the Word Study Continuum guide instruction? 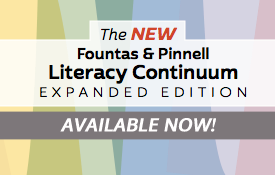 The Word Study Continuum is the theoretical foundation for Phonics Lessons and Word Study Lessons. It provides a comprehensive picture of linguistic knowledge, moving from simple basic concepts about letters and words to more sophisticated understandings. At any time during instruction, children's knowledge of the principles on the Continuum may be observed, informally or formally, and the results used to determine instructional next steps. How does the book of minilessons help me get started? The beginning of each book of minilesssons contains specific suggestions for teaching Phonics Lessons and Word Study Lessons. From materials and classroom management tips to planning tools and curriculum timelines, this section is invaluable for the teacher who is getting ready to teach the lessons for the first time. What makes a good minilesson? A good minilesson is quick, efficient, and effective, and Phonics Lessons and Word Study Lessons are designed to be just that. They are short, focused on a single principle, use consistent language and clear examples, engage children in active learning, and follow a regular lesson structure that quickly becomes familiar to children. What additional resources do I need to teach Phonics Lessons? Phonics Lessons utilizes instructional materials that you may already have in the classroom such as magnetic letters, easels, and pocket charts. In addition, Fountas and Pinnell advise demonstrating writing lessons using black or dark markers on a white or cream background to create simple and uncluttered instruction. Other resources you might want to take advantage of are notebooks for poetry, a word wall, and a small white board for demonstrations. 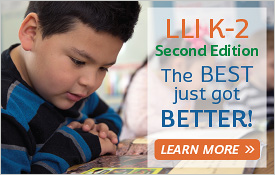 How does Word Study Lessons (grade 3) extend the Phonics Lessons (K, 1, and 2) series? By grade 3, children know the basics of phonics, and in Word Study Lessons they begin to apply them to more complicated words. The focus shifts to more work on the structure of words, more spelling, and more vocabulary. Unique to grade 3 are formal instruction in dictionary skills and keyboarding, both more advanced applications of phonics basics. What assessment tools are provided in Phonics Lessons and Word Study Lessons? Phonics Lessons provides three different opportunities for assessment. First, every minilesson has an assessment guide built in for on-the-run assessment, whether it's day-to-day or minute-to-minute. Second, the frontmatter includes more systematic assessment in the form of the Month-by-Month Planning Guides in which the "Assessment: Children Can" section addresses where students should be at a given time in the Continuum. Finally, the Teaching Resources Binder includes an entire section on assessment that includes both individual and group exercises, quick observations, and reports. How can I use Phonics Lessons and Word Study Lessons as my spelling program? A systematic, five-day lesson procedure for learning specific spelling principles is built into grades 1, 2, and 3. The five days include choosing and writing words from a given word list, a "look- say-cover-write-check" technique, a buddy check, making connections with other words, and finally, assessment. How can Phonics Lessons and Word Study Lessons help my ELL students? Through the lessons, speakers of languages other than English learn the basic building blocks of oral and written English. Two tools in the minilesson books directly support these learners. First, the front matter at the beginning of each book contains general recommendations for working with English language learners. Second, "Working with English Language Learners" at the beginning of every lesson provides specific ways to adjust the lesson for these learners. How can Phonics Lessons address the diverse needs of my students? The lessons are designed to be flexible tools, easily adapted to whole-group or small-group settings, in-class or pull-out programs, so that students requiring more support or those who need to be stretched can benefit. In addition, the lesson design allows for personal discovery, with built-in opportunities to move from known to new. How does poetry support language development? Poetry provides many powerful learning opportunities by surrounding children with the sounds, words, and expressions of poetic language. Classrooms in which enjoying and reciting poetry is part of the culture help children absorb basic knowledge of how sounds and words work. Where can I get additional professional development? Several types of professional development can make utilizing this program seamless and easy. First of all, each lesson provides material for implementation and support. Also, this website offers a group of videos illustrating lessons in action. See the "View a Classroom" section. 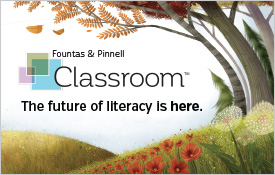 If you did not find an answer to your question in these Freqently Asked Questions, please check the Discussion Boards for additional answers or to post your question to Fountas and Pinnell Trained Consultants and to other users like you.